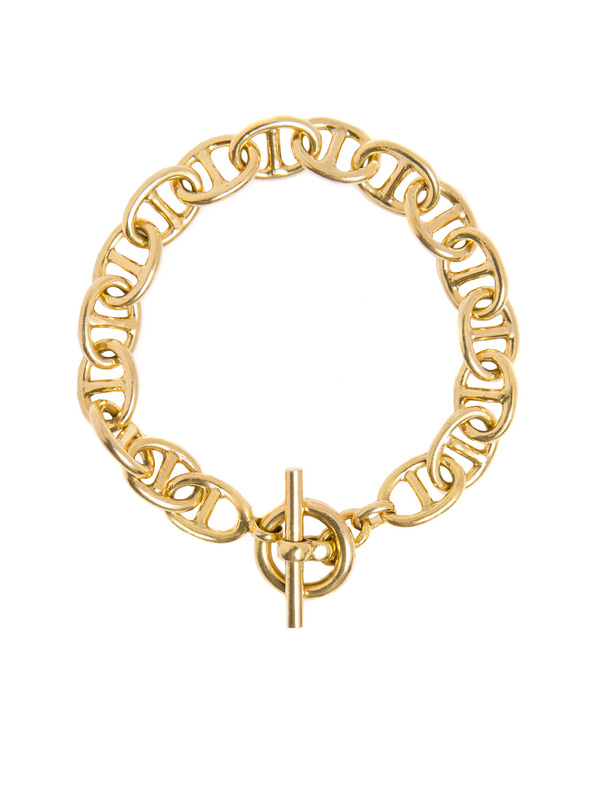 Induce serious bracelet envy with this gorgeous 23.5 karat gold plated anchor chain bracelet. It looks stunning and seriously elegant worn on its own or mixed with other bangles and bracelets following the multilayering trend that is so popular in jewellery right now. The bracelet weighs 23 grams, is 19cm long and 0.8cm wide. Lead times on this item, if it is not in stock is usually three weeks as each bracelet is hand made.